MILWAUKEE, WIS. - The national law firm of Quarles & Brady LLP today announced that Rebecca A. Speckhard has been appointed to National Practice Director of the firm's Public Finance Group. She will be responsible for ongoing development and implementation of the group's legal practice standards. "Rebecca is an exceptional practitioner and recognized leader with deep experience successfully navigating some of the most challenging issues arising in public finance transactions," said Jeff Peelen, national practice group chair for Public Finance. "Her direction with respect to the ongoing development and implementation of our legal practice standards will be a great benefit to our firm's Public Finance practice group and, more important, to our clients." The Quarles & Brady Public Finance Group represents state and local governments and authorities; non-profit organizations; and, banking institutions in a wide array of bond and related transactions. The firm regularly serves as bond counsel, issuer's counsel, disclosure counsel, underwriter's counsel, bank counsel and in other related roles. Speckhard dedicates her practice to municipal and governmental finance. 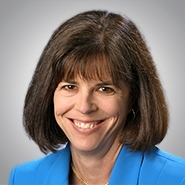 She serves as bond counsel to municipal and governmental issuers throughout the State of Wisconsin, with particular expertise in general obligation financings; public utility revenue bond financings and community development authority and redevelopment authority financings; and, related tax incremental financing and development matters. Speckhard also regularly serves as underwriter's counsel and issuer's counsel on public finance transactions.